I’m sure some of you have seen the posts by quite a few bloggers recently with Money Supermarket where they are given £20 to spend on themselves or someone else to get that ‘feel good factor’. I’d loved seeing these posts so I was really happy to find an email inviting me to join in. If you’re interested in knowing a little more about it, take a look at the video here – they set up hidden cameras in a dry cleaners then told customers they’d left £20 in the pocket of the clothes they’d left there to get that feeling of life’s little wins. I in fact had this feeling the other day finding a £5 note under a pile of washing, yay! Unfortunately it was Ben’s, but still, excitement!! So when I was asked to take part, I had no idea what I wanted to do with my £20. The original plan Ben and I came up with was to do a special three course meal with really nice ingredients for £20, since we try not to spend too much on food, but we like good food. But we finally settled on the idea of buying something we’d wanted for a while but hadn’t wanted to just spend money on: a chalkboard for our kitchen. 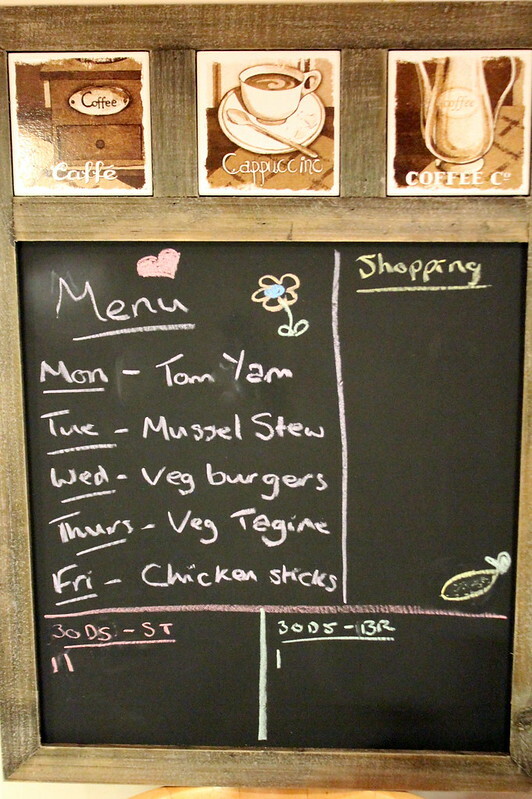 We’d been wanting a chalkboard for the kitchen for a while as I’m always noting things down on paper and losing them, and we also like to plan out our week’s meals (post coming soon!) and just end up writing them out on the computer then when it gets to that day, we often forget to defrost something or have to turn on the computer just to find out what we planned. It’s also handy for bits and pieces we need to buy at the supermarket (things you forget like when you’re running low on a certain spice), so that’s the shopping section on the right hand side (it now says ‘choc ices’ under there =D Oh and by the way, the picture at the bottom of the shopping list is a lemon…I am no good at art!!). 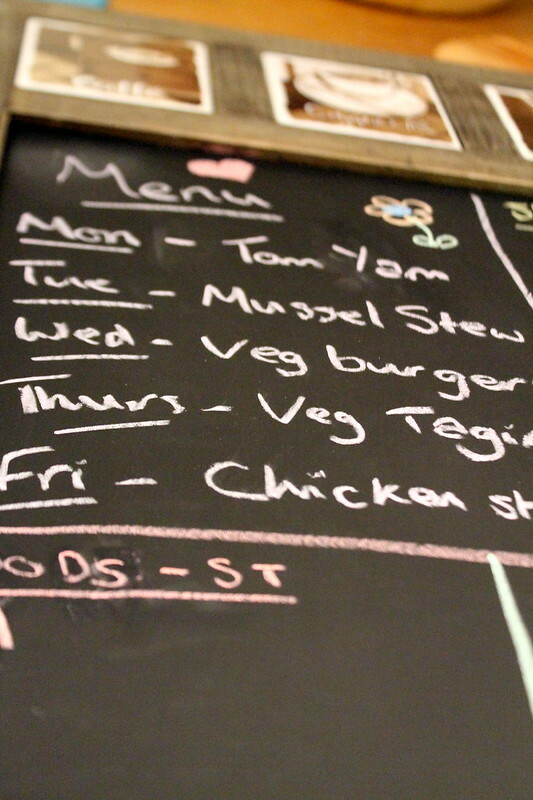 Then at the bottom we’re keeping track of our latest thing – the 30 Day Shred! I’m on the right hand side, Ben on the left. So this cost us £8.99 from a local home and kitchen shop in Richmond. It’s not something we couldn’t have afforded anyway, but it’s one of those things you want but don’t need, so when a little extra money comes your way, it’s perfect! We’re slowly building up a collection of things to make our house a home now, so this is another one of those. 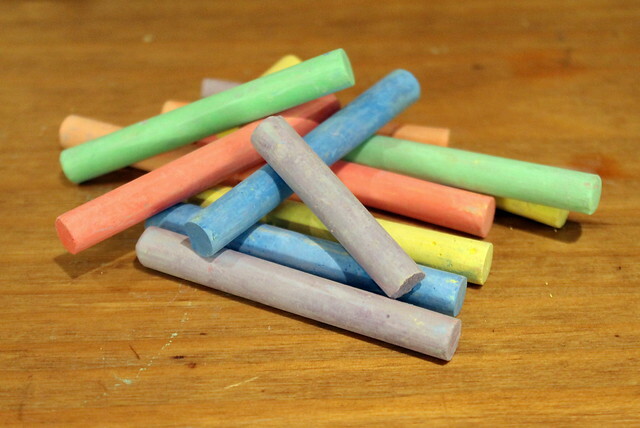 And of course, I needed some chalk to go with it, that was another 99p. 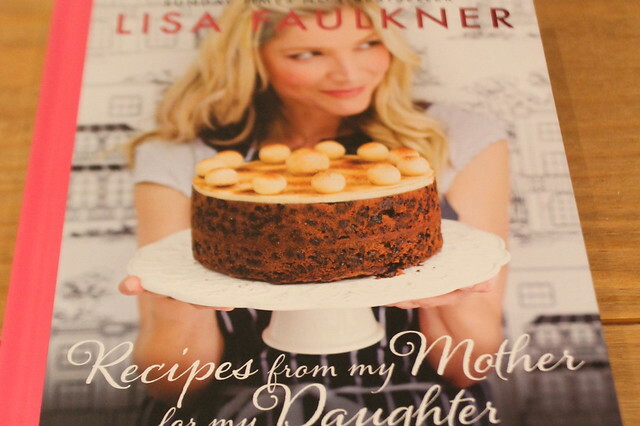 And we decided to treat ourselves with the last £10 and buy a cookbook: Lisa Faulkner’s ‘Recipes from my Mother for My Daughter’. 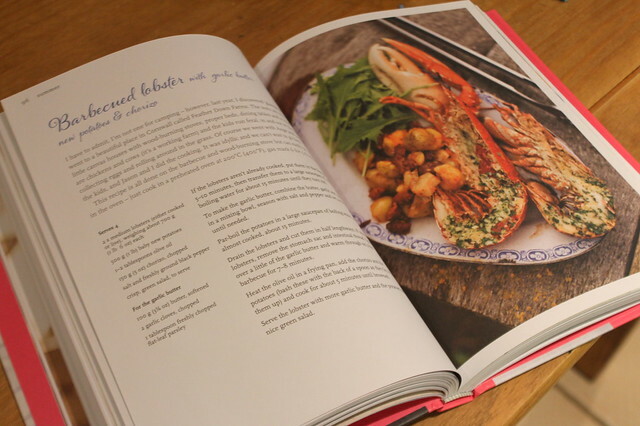 Cookbooks are, as I’ve mentioned before, something of a favourite in our house; Ben has taught me to love cooking – before I hated it, now I love it, insofar as I even read this cookbook like a normal book as soon as we got home. 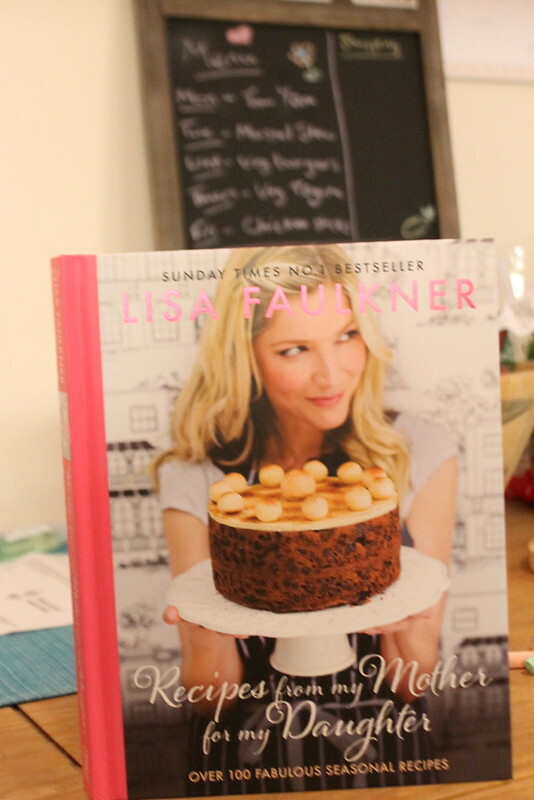 It has some gorgeous sounding recipes and beautiful photography. It was a pleasure to look through, and I’m sure the recipes will be even more of a pleasure to cook. Feel good factor? I think so! It’s nice to treat yourself once in a while. 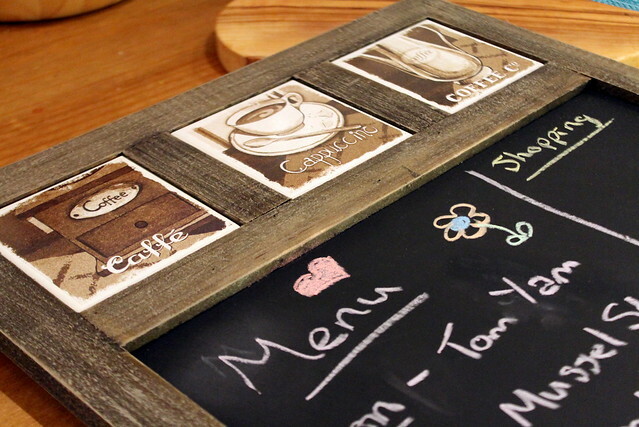 Aw this is lovely, I’ve always wanted a chalkboard for the kitchen! I love the chalkboard, it’s something i’ve always wanted to! 20 quid well spent! 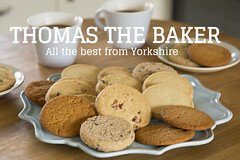 So cute, I really want one of these when I’m out of uni and have my own *clean* kitchen, haha!